Join WWC Organization for Special Membership Benefits, Resource, and Services. Women of Color Day: 28 years, 25 states & 5 other countries for a day or week. Hundreds honored as Outstanding Women of Color. Girls of color too. Men, other women & groups recognized in some. Many names & videos on this site. Legends in their own times! 2013 is the 28th year since Women of Color Day was founded. At that time, there were no such events in the country until the National Institute for Women of Color (NIWC, now inactive) was founded in Washington, DC. Suzanne Brooks, now CEO of International Association for Women of Color Day served on the NIWC Board for 11 years. During those years, with other graduate and undergraduate students at Washington State University, she also co-founded the Women of Color Kaukos there. "Building Leadership: Community to Politics"
Since 1991, with a brief interruption after Suzanne Brooks left the CSUS Multi-Cultural Center as Director, Sacramento has held annual Community Women of Color Day/Diversity Events on the first Sundays in March. Support from area small business vendors/exhibitors from Sacramento to the San Francisco Bay area and ongoing supporters - California Teachers Association and Los Rios Federation of Community College Teachers - have remained strong. However, local support for the event by advertisers in the souvenir program booklet, upon which the event relies for funding, has gradually dwindled. During the last 22 years, more than 200 Outstanding Women and Girls of Color have been honored in the Sacramento area. Recognition has also been given to women, men, organizations and businesses of all groups who work for justice and support diversity. IAWOCD has produced and marketed logo products, music CDs and books to raise funds. Many volunteers have contributed efforts in program implementation and as advertising sales staff working on commission to raise needed funds. C&T Specialties, official manufacturer of Women of Color Day logo products and award plaques, in Elk Grove, CA, continues its support. Area print/electronic media have been generous with publicity. Women of Color Day continues growing elsewhere while shortfalls have occurred in Sacramento, home of the national/international Women of Color Day office. Shortfalls have been underwritten by the International Association for Women of Color Day (IAWOCD), including when the commitment of a major institution was not honored. There has been no significant support from local/state government related agencies or officials here to help. For these reasons, the local event was not implemented for 2013. When local event support renews in Sacramento, the event will resume in the future. 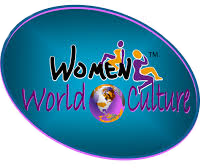 Meanwhile, the timeout is being utilized to bring a long desired vision and goal to reality by establishing WomenWorldCulture, a new international network which has evolved from the work on Women of Color Day for nearly 3 decades. issues of women of women of color, beginning with the fact that only women of color experience both racism and sexism. Another CA city has invited IAWOCD to move its activities there. Colour of Couture, virtual, innovative, international fashion show is pairing with IAWOCD in activities, as are other fashion and cultural entities. Sacramento has been the national and international headquarters for Women of Color Day. Whether or not it remains here, depends on the availability of support. Women of Color and our allies deserve ongoing recognition on the only day so dedicated. Sacramento's most innovative and unique diversity event takes place on Sunday, March 6th, 2011 at the Community Center of the Womenâ€™s Civic Improvement Club of Sacramento, Inc., 3555 3rd Ave., Sacramento, CA 95817. The event honors outstanding women of color for achievements/contributions, and women, men, businesses, and organizations of all cultures supporting/promoting diversity. In the 26 years since March 1st was established as Women of Color Day, more than 250 have been honored in Sacramento. Commemorations have also been held in other California cities, 22 additional states and 5 other countries. The program includes the awards ceremony; "Aurora,"new musical show featuring African dance, Candombe percussion, music by Suzanne Brooks/The Jazz Generation Band; and recognition of the United Nations declaration of 2011 as the Year of African Descendants. Sacramento photographer Larry Dalton; California Assembly Member Alyson Huber; Chris Lee, pianist, The Jazz Generation band; Tina Veeolet, owner, Aloha Florist;and, The Wellbriety Drummers led by Carlos Rivera.. The UN has declared 2011 as the year of African Descendants. While continuing to honor outstanding women of color and men, women and organizations of all groups that celebrate diversity, IAWOCD will commemorate this historic year by providing opportunity for presentations by exhibitors & vendors who reflect interests and history of African descendants. Those interested should contact IAWOCD as soon as possible. Maia Morton and her ensemble, Umoja, will contribute African choreography, dance and drumming.. Sponsorships and Souvenir Program Booklet Advertising are available and fund the extraordinary event. Adult Tickets, on sale January 17th , 2011, are $15 in advance; $20 at door for adults; $5 for children under 12. Media pre-event interviews are available. By Summer, 2011, The Women of Color Journal will be implemented to provide positive, uplifting essays, articles, stories, poems, drawings and photographs by and about women of color and those supporting diversity, justice, and cross-cultural interactions and understanding. Articles about issues and concerns of relevant interest, as well as educational and historical essays will be published. The focus of the publication will be to maintain a positive, uplifting tone throughout the publication. Biographies and autobiographies will receive early attention. Writers are being sought. Initially, writer contributions will be donations. As the site is marketed to appropriate advertisers and a stream of revenue is developed, writers will be paid at posted rates for first time publication rights, after which copyrights will belong to the writers. All editorial decisions will be made by the publisher or her designee.